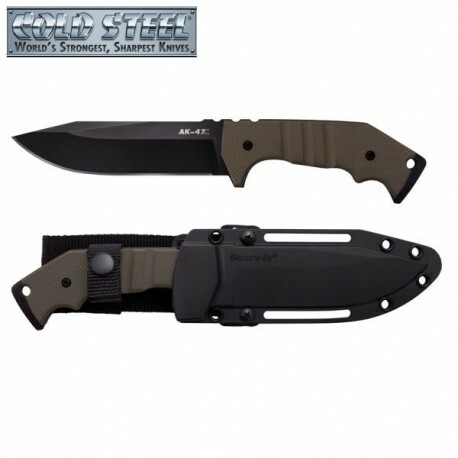 AK-47 Field Knife by Cold Steel model 14AKVG. 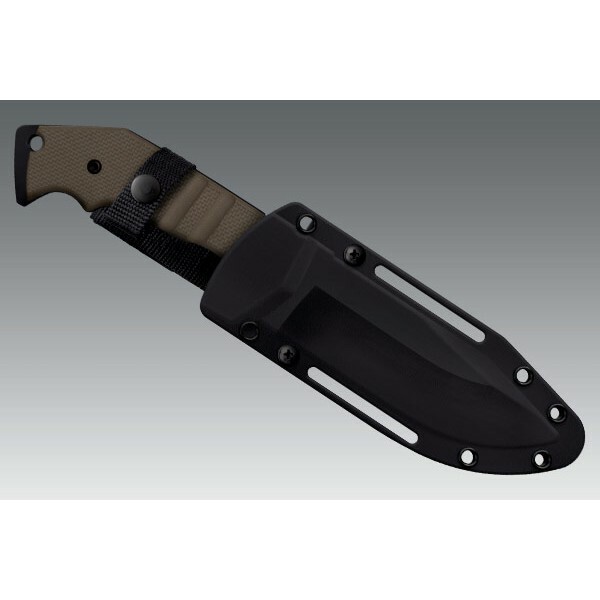 Awesome knife for military personnel and special units, these rugged, dependable folding knives have seen use all over the world and in several conflict zones, and have been in our line up in various iterations for almost a decade. Our AK47 series folding knives have set the standard for hard use tactical folders. A firm favorite with military personnel and special units, these rugged, dependable folding knives have seen use all over the world and in several conflict zones, and have been in our line up in various iterations for almost a decade. When we decided to explore designs for a new multi-purpose fixed blade field knife that would be suitable for military use, we kept coming back to the AK47. Our AK47 Field Knife is enormously sturdy and amazingly effective. With robust solid steel construction, full width tang and American G10 scales - it is function personified! Expertly crafted from CPM 3v High Carbon super-steel, the AK47 Field Knife is then D.L.C (Diamond like Coated) from the tip of its beefy saber ground clip point blade to its oversized striking pommel; ensuring an unbelievably strong, razor sharp blade with a hard wearing virtually scratch resistant surface. Supplied with our highly versatile Military standard Secure-Ex sheath, the AK47 Field Knife is ready to take on any challenge!